Hardware, software design tools, IP, and pre-verified reference designs. 2 x RJ45 copper connector 10/100/1000Base-T Ethernet (Through RGMII PHY) connected to the Fabric logic of the FPGA. 1 x RJ45 copper connector 10/100/1000Base-T Ethernet (Through RGMII PHY) connected to the HPS of the FPGA. Mini USB connector B-type to enable the USB2.0 PHY OTG high speed, ULPI interface connected to the HPS of the FPGA. 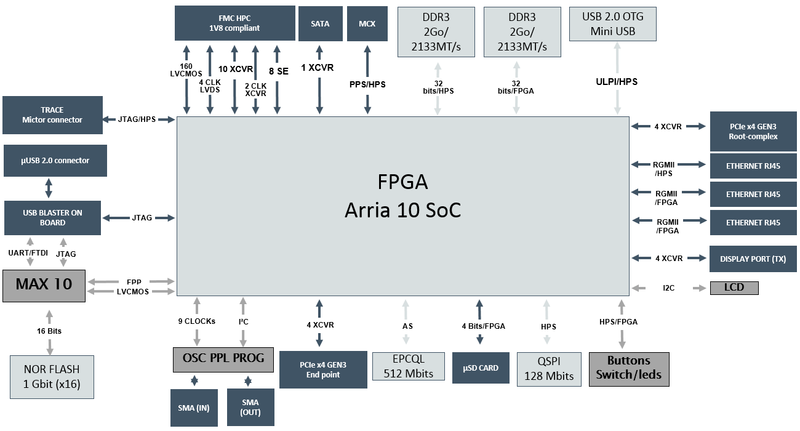 The Arria® 10 SoC FMC IDK includes hardware such as FMC Header, on-board USB Blaster, DDR4, PCIe capabilities and much more. 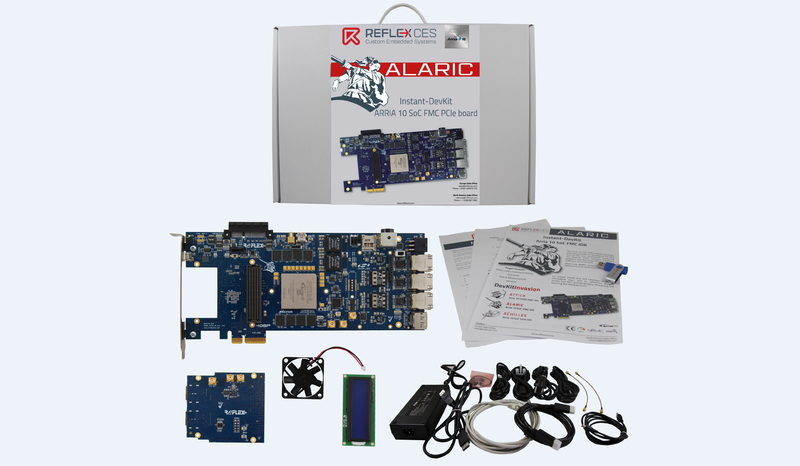 What is the Alaric Instant Devkit ? 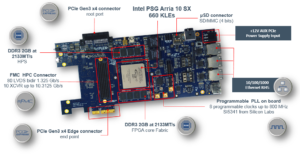 You can manage 8 internal clocks up to 800 MHz onboard with innovative programmable PLL drive by I²C bus connected to the CPLD MAX10 and the FPGA Arria® 10 SX. 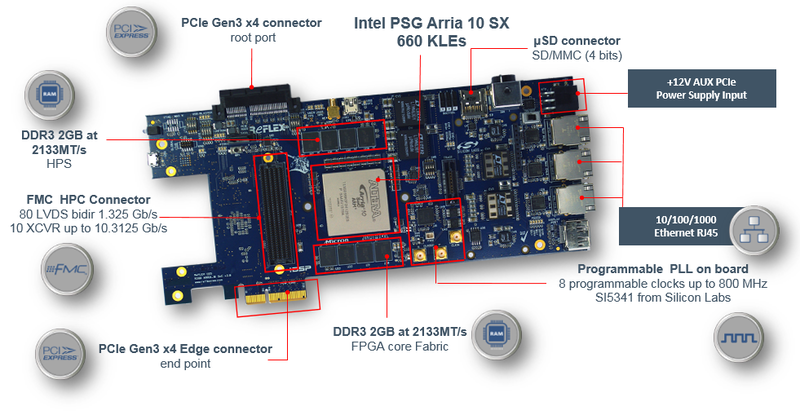 Finally, the Alaric board has a high end digital core based on Arria® 10 SX. 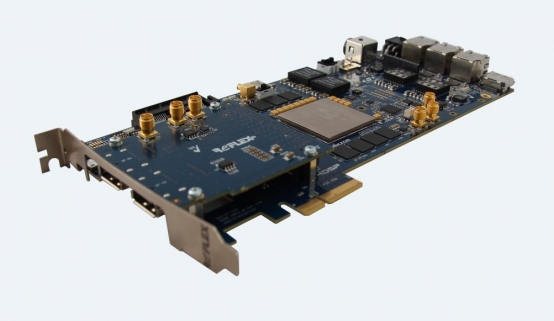 It is connected to a 4GigaByte DDR3 component and offers two independent banks, one connected to the HPS of the FPGA. How to program my MAX 10 and Arria® 10 on my Alaric board ? 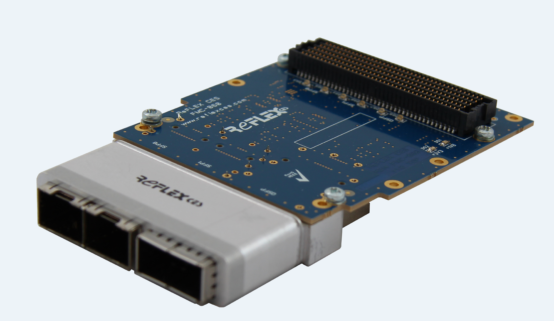 Scenario 1: You can program the FPGA Arria® 10 and (or) the MAX10 through USB blaster in JTAG mode. Programming system: You can program the Arria® 10 with an image that is contained in Flash. The MAX 10 integrates Parallel Flash Loader IP Core that allows to enable a FPP 32 configuration mode.